Ciutadella Park in Barcelona is an urban Park located within the Old city of Barcelona. In the Park de la Ciutadella: alleys and places for rest, fountains and an artificial lake, the Barcelona zoo, museums and monuments and numerous sculptures. It's kind of a Museum under the open sky. Triumphal arch in Barcelona is one of the most famous monuments of Barcelona. Arc de Triomphe was erected as the front entrance (main gate) of the world exhibition of 1888, held in the Park of the Ciutadella. Since then, arch has become strongly associated with the architecture of the city and joined the list of sights of Barcelona. La Rambla is a street in the historic centre of Barcelona, popular with tourists and locals. La Rambla is a broad pedestrian Boulevard, both sides of which are narrow highways with one-way traffic, and sidewalks lined with historic buildings, sights, theatres and museums, cafes and shops. The pedestrian street, the Rambla actually consists of five shorter streets (boulevards), passing imperceptibly into each other and together form a single, long La Rambla. Batlló house (Casa Batllo) - the most audacious project of Antonio Gaudi in Barcelona. Because the architectural elements of the house resemble a skeleton, the people of Casa Batllo also known as the "House of Bones". Casa Batlló is a masterpiece of architecture and design, and one of the most iconic landmarks of Barcelona. Also considered one of the best works of Antonio Gaudi, during which the architect has solved all your creativity. Mila house (Casa Mila) is one of the jewels of Barcelona is, without a doubt deserve special attention and, of course, visit. It is both an apartment building and a priceless work of art. Because of its unusual appearance of Casa Mila also known as La Pedrera. Endless curve, billowing waves covered facade of ordinary limestone, is difficult with something confused. And the twists and turns of the balcony and lack of straight lines make the house look like a natural phenomenon. Mount Tibidabo - the highest point of Barcelona (512 metres above sea level). On top of mount Tibidabo you will find: the Temple of the sacred Heart, Tibidabo amusement Park, tower of Collserola and several viewing platforms, which offers the best city views of Barcelona, the sea and the surrounding area. This article will tell you about all the ways how to get to Tibidabo mountain. Mount Tibidabo is a mountain in Barcelona, which is the highest point of the city is 512 meters above the sea level. The top of the Tibidabo mountain majestically decorates the Church of the sacred Heart, which has already become one of the landmarks of Barcelona. And at the foot of the temple on top of a mountain and partly on the slope, is the namesake amusement Park and attractions. Park Guell is one of the most famous and visited parks of Barcelona in the Tops of the sights of the Catalan capital. The Park Güell is a public Park consisting of gardens and architectonic elements located on a hill in the upper part of Barcelona, in the Gràcia district. The Park is divided into two areas: pay - that part of the Park where is located the famous architecture of Gaudi objects; free - the rest of the Park. Tour buses - one of the best options to explore the city to discover its main tourist attractions and to get the most out of your visit to Barcelona. In Barcelona presents two main bus-tour Agency: Barcelona Bus Turistic and Barcelona City Tour. Each company has a few circular routes. Have the opportunity to go out and go to the buses at any of the stops and change your route, routes at some points intersect. Barcelona airport El Prat is also known as Barcelona airport (Aeroport de Barcelona-El Prat) is the largest international airport, located approximately 12 kilometers from the historic center of Barcelona, in the municipality of El Prat de Llobregat. Barcelona airport has developed transport links to the city centre, so that, at any time of the day you can easily get from the airport to the center or from the center of Barcelona to the airport by taxi, bus, metro or commuter train. Hotels in Barcelona. 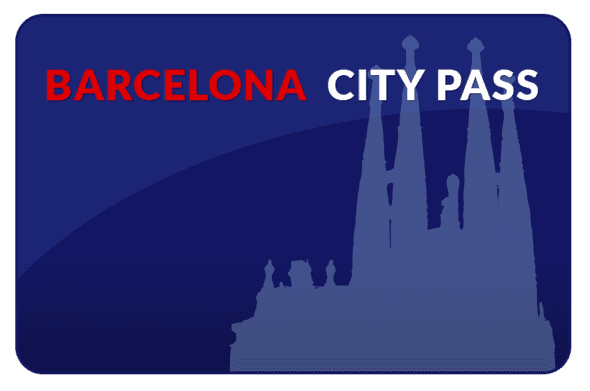 How to choose a hotel in Barcelona? Barcelona is a major city and popular destination among tourists. The city has many great attractions. Besides, in the city there are 10 beaches. In this regard, the tourists who decided to visit Barcelona, the question arises: "Where to stay in Barcelona and how to find shelter?". The choice of hotels in Barcelona is very large, everyone can pick up a tool placement based on the preferences and financial capabilities, ranging from first-class hotels, ending budget self-catering accommodation. Barcelona attracts primarily for its diverse and numerous sights. But in the city there are the beaches, because the capital of Catalonia located on the Mediterranean coast. Perhaps the beaches are not the best, but, nevertheless, the city has a great opportunity to combine walking and sightseeing with a beach holiday. Sagrada Familia (Basilica De La Sagrada Familia) in Barcelona is one of the greatest projects of Antoni Gaudi. Huge architectural model of unique architectural style, which incorporated combining Gothic and curvilinear forms in the art Nouveau style. Currently, the Sagrada Familia tops the list of attractions in Barcelona and is the most famous and visited place of the Catalan capital. Barcelona's port (Puerto de Barcelona) is one of the largest ports in the Mediterranean. The port consists of three zones: commercial and industrial port; cruise port; and Port Vell, which includes several marinas and fishing port. Port Vell is a Central part of the port. The brightest and most tourist part of the sea port of Barcelona, here are the main attractions, as well as places for walking and recreation. The Boqueria market (Mercat de la Boqueria) in Barcelona is a large public market with a very convenient location. There is a market in the historic centre of Barcelona, the main entrance overlooks the famous tourist street La Rambla. This is an indoor market, so it is always crowded, even in bad weather. The General market has such a wide popularity among tourists, which has long been included in the list of the most visited attractions in Barcelona.